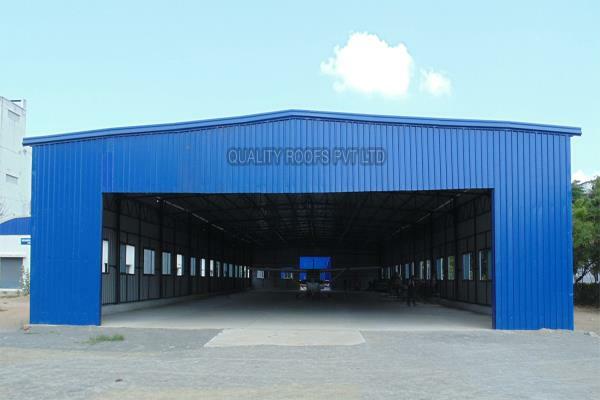 QUALITY ROOFS PVT LTD is the leading Industrial Roofing Contractors In Chennai & Metal Roofing Contractors in Chennai, since 2002, that offers the entire range of Metal Roofing Contractors and Steel Roofing Solution in Chennai such as Terrace Roofing Contractors, Polycarbonate Roofing Contractors In Chennai and also undertake Turnkey Roofing Works with all kinds of Metal Roofing, PVC Roofing , Fibre Glass Roofing , Puf panel roofing, Mangalore tile Roofing and Polycarbonate Roofing in Chennai. We are Specialized in both Industrial Roofing contractors and Residential Roofing contractors. Call us : 9841510901 We serve following areas: Roofing Contractors in Chennai. Best Industrial Roofing Contractors & Residential Roofing Contractors, Roofing Dealers in Chennai, Roofing Contractors Chennai,Roofing Shed Manufactures,Roofing In Chennai,Roofing Chennai, Metal Roofing Chennai,Roofing Companies in Chennai,Roofing Solution Chennai,Roofing Services Chennai,Roofing Fabricators Chennai,Metal Roofing Contractors Chennai, Steel Roofing in Chennai,Polycarbonate Roofing Contractors in Chennai, Polycarbonate Roofing in Chennai,Low Cost Roofing Chennai, Roofing Contractors in Sriperumbudur, Roofing Contractors in Maraimalainagar, Roofing Contractors in Kanchipuram, Roofing Contractors in Vellore, Roofing Contractors Vellore Roofing Contractors in Thiruvanamalai,Roofing Contractors in Trichy, Roofing Contractors in Madurai,Roofing Contractors in Redhills,Roofing Contractors in Periyapalayam,Roofing Cost, Metal Roofing chennai. Excellent response, excellent value and excellent work.The crew did a great job, and I am very happy , just in time ..their professionalism - their timeliness - and overall product delivery. Thanks Quality roof . Quality Roofs - Good experienced team.Done a excellent Decorated Car Shed for my house and industry. We got good experience with this supplier. Good response from supplier end.. good quality roofs with competitive price..
Good Service , am really satisfied his works nice job keep it up .